Chelsea have reached an agreement with Borussia Dortmund winger Christian Pulisic ahead of a summer move to Stamford Bridge, according to reports in Germany. The USMNT star has found himself on the periphery of Dortmund's first team this season following Jadon Sancho's breakthrough at the club, while rising star Jacob Bruun Larsen is also ahead of Pulisic in the pecking order. The 20-year-old has often been linked with a move to the Premier League and most notably to Liverpool, especially since Jürgen Klopp - Pulisic's former manager - arrived at Anfield in 2015. 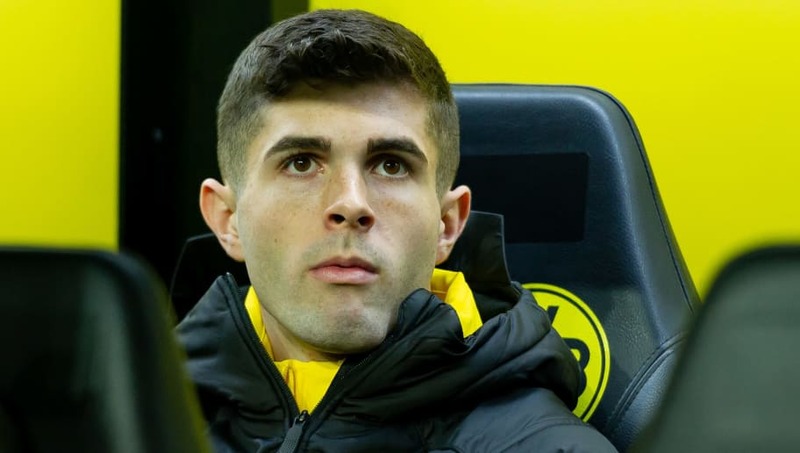 However, new suitors Chelsea are now leading the race for Pulisic's signature and Bild claim that the Blues have already reached an agreement with the young forward over a move, which Borussia Dortmund insist will be delayed until the summer. If Thorgan Hazard is the replacement Dortmund want for Pulisic, then they will arguably get the better end of the deal.. It's claimed that as Pulisic will be entering the final year of his contract at Borussia Dortmund, the American wonderkid will be available for £45m. Pulisic has been the only converted wunderkind at Borussia Dortmund for some time, having made his debut for the Black and Yellows in January 2016. Since then, Pulisic has gone on to make 115 appearances for Dortmund, where averages a goal once every eight appearances, while assisting once in every five. Chelsea are in desperate need of freshening up in wide areas ahead of next season as age will catch up with Pedro (31) and Willian (30) sooner rather than later, while Eden Hazard's future still seems unclear. The Belgium international still hasn't signed a new contract at Stamford Bridge, and the winger's openly flirtatious relationship with Real Madrid leads many to expect that Hazard will look to move to the Santiago Bernabéu next season.